Do you like to ponder the cosmos while having your morning cuppa? Or perhaps you enjoy the ancient stories told across our night sky? 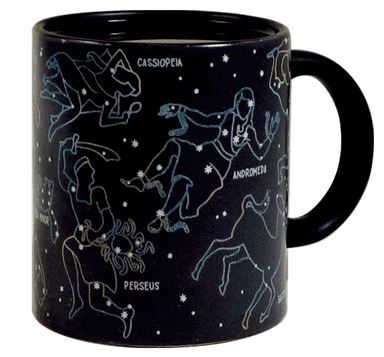 Then this Constellation Heat-Change mug for you. 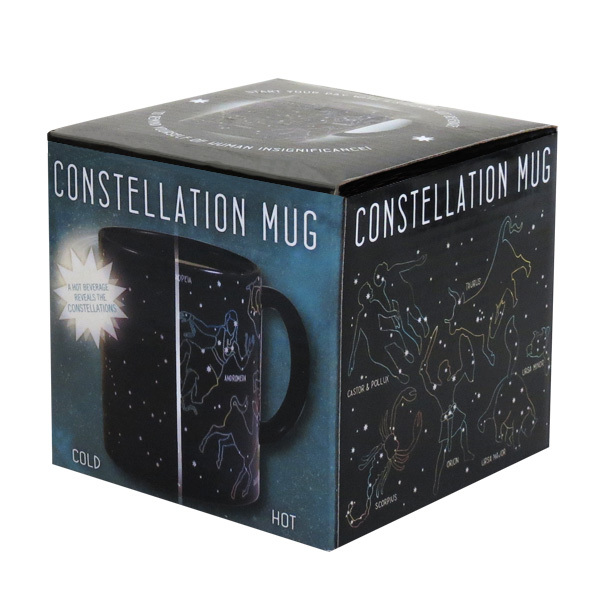 Pour in your favorite hot drink, sit back and watch the constellations appear in the Northern hemisphere night sky. The Northern constellations depicted include favourites like Cassiopea, Perseus, Saggitarius, Hercules, Andromeda, Scorpius, Taurus, Ursa Major, Ursa Minor, Orion, Castor and Pollux. Due to its thermal properties this mug is not dishwasher or microwave safe. Comes boxed.